Over the years, we've been asked many questions and these are the most frequently asked ones with our answers to them. What is asset-based financing typically used for? What is typically included in an asset-based loan agreement? How does an asset-based lender monitor its borrowers? What is debtor-in-possession (DIP) financing? What is Senior Stretch financing? 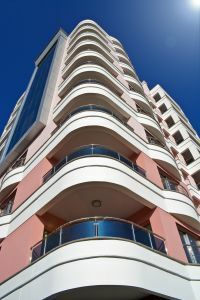 What is a Second Lien? What is a High Yield Debt? What are Junior Secured Loans? An asset-based loan is secured by a company's accounts receivable, inventory, equipment, and/or real estate, whereby the lender takes a first priority security interest in those assets financed. Asset-based loans are an alternative to traditional bank lending because they serve borrowers with risk characteristics typically outside a bank's comfort level. Learn more in the CapitalEyes article: "Six Myths About Asset-Based Loans." The primary difference between asset-based lending and commercial bank financing is what the lender looks to first for repayment of a loan. A bank will look first to the cash flow for the repayment, then to collateral. An asset-based lender looks to collateral first. Since banks underwrite cash flow as their primary repayment source, they typically require less collateral controls and monitoring but more financial covenants. For "asset rich" companies, an asset-based loan may make more funds available because it is not based strictly on the anticipated levels of cash flow. Additionally, the structure often requires fewer covenants, providing more flexibility for many borrowers. The assets available to apply to a business' operations are considered working capital assets. At times, working capital loans are needed to bridge financial gaps during the lifecycle of a business. Working capital loans can be secured by a variety of asset types, including accounts receivable, inventory, equipment, and/or real estate. To grow a business, a company may look to acquire a strategic partner or even a competitor. Asset-based financing is often an efficient means to obtain funding for business acquisitions. Learn how Simplicity doubled its size through acquisition and asset-based financing. Turnaround financing is often used by under-performing businesses that are not achieving their full potential. In some cases, it is used for businesses that are either insolvent or on their way to becoming insolvent. Asset-based lenders are accustomed to the bankruptcy process and asset-based financing is ideal for turnarounds because of its flexibility. Learn more in the CapitalEyes articles: "Stages Of A Turnaround" and "Case Study: Specialty Printer, Turnaround." Capital expenditure is the money spent to acquire and/or upgrade physical assets such as buildings and machinery. Capital expenditure is also commonly referred to as capital spending or capital expense. Debtor-in-possession (DIP) refers to a company that has filed for protection under Chapter XI of the Federal Bankruptcy Code and has been permitted by the bankruptcy court to continue its operations to effect a formal reorganization. A DIP company can still obtain loans--but only with bankruptcy court approval. DIP financing, which is new debt obtained by a firm during the Chapter XI bankruptcy process, allows the company to continue to operate during a reorganization process. Asset-based lenders also provide exit financing or confirmation financing to companies coming out of bankruptcy. Learn more in the CapitalEyes articles: "What You Should Know About Lining Up DIP Financing." and "DIP Financing: Breathing New Life Into Ailing Companies." Typically, as a company grows so does its need for financing. Also, as a company's collateral grows, its assets can strengthen its ability to borrow. An experienced and creative asset-based lender can assemble a credit facility that can scale to grow with a company. Recapitalization is the process of fundamentally revising a company's capital structure. A company typically might recapitalize due to bankruptcy or replacing debt securities with equity in order to reduce the company's ongoing interest obligation. A leveraged recapitalization typically achieves just the opposite--by taking on a material amount of debt, the company increases its ongoing interest obligation but is able to pay its shareholders a special dividend. Bank of America Business Capital has extensive experience guiding businesses through the stages of recapitalization. Learn more in the CapitalEyes articles: "The Debt Route--Dividend Recapitalizations On The Rise" and "Leveraged Recapitalizations: A Valuable Business Transition Tool." When a company enters or exits a growth stage, refinancing or restructured financing may be key to creating a capital structure that better meets the needs of the company. This type of financing is often used for market expansion, completing an acquisition, restructuring operations, or following a successful corporate turnaround. Learn more in the CapitalEyes article: "Restructuring Debt At Troubled Companies". A buyout is the purchase of a controlling percentage of a company's stock. In a leveraged buyout (LBO), the acquiring company uses the minimum amount of equity to purchase the target company. The target company's assets are used as collateral for debt, and its cash flow is used to retire debt accrued by the buyer to acquire the company. A management buyout (MBO) is an LBO led by the existing management of a company. Most LBOs are also MBOs. Read more in the CapitalEyes article: "Why More Of Today's LBOs Use ABL." A leveraged ESOP allows a company to raise its capital-to-asset ratio by issuing new shares of stock to an employee trust, which finances the transaction with an asset-based loan. The ESOP loan is repaid in pretax corporate dollars, and dividend payments to employees as well as the dividends reducing the bank loan are tax-deductible expenses. ESOPs may provide new capital for expansion or capital improvements, to buy out the stock of a retiring owner, to divest a division, to make acquisitions, and buy back publicly traded stock. A typical loan agreement with an asset-based lender provides protections, rights, and remedies for both parties. It also establishes guidelines on how the asset-based loan is to be administered and how expectations are to be met. In addition, the asset-based loan agreement may include a limited number of restrictive and/or financial covenants, but these are typically fewer than conventional commercial loan agreements. A borrowing base formula that monitors the relationship between the value of the collateral available to secure the outstanding loan and the actual balance of the loan on a regular basis. Funding controls, or collateral reporting, may be required daily, weekly, or monthly and range from submission of sales invoices/shipping documents to accounts receivable aging and listings/inventory listings. The asset-based lender requires dominion, or control, over cash by establishing a collateral account into which accounts receivable collections are deposited. Access to this account is restricted to the asset-based lender. Ongoing audits are also used to monitor the account. The asset-based lender will audit the borrower's books and records periodically to verify the accuracy and validity and to substantiate collateral values as represented by the borrower. A revolving credit facility, also known as a "revolver," is designed to optimize the availability of working capital from the borrower's current asset base. As the borrower repays a portion of the loan, an amount equal to the repayment can be borrowed again under the terms of the agreement. Eligible assets commonly included in calculating the current asset base are accounts receivable and inventory. The term "revolver" is used because the amount the asset-based lender is willing to lend increases if the amount of the assets securing the loan increases. Funds are loaned to a company based on a certain percentage of the value of eligible accounts receivable and inventory. Such loans are limited by the predictability of cash flow to service the debt. A revolving line of credit typically has a term of one-to-three years with renewal provisions. The advantage of a revolving credit facility is that the company can use current assets as collateral to secure a loan rather than wait until the collateral has been converted to cash. One component of senior debt is a term loan. This is typically an asset-based loan that is based on a certain percentage of the orderly liquidation value of the machinery and equipment and the appraised fair market value of the land and buildings. Asset-based loans against equipment and real estate are often made in the form of term loans that include regular periodic payments of both principal and interest in order to retire the debt at a fixed maturity date. Asset-based loans using real estate as collateral have longer maturities than equipment loans because of the generally shorter economic life expectancy of equipment. DIP financing, which is new debt obtained by a firm during the Chapter XI bankruptcy process, allows the company to continue to operate during a reorganization process. Asset-based lenders are well versed in providing DIP financing, confirmation financing, or exit financing as companies emerge from bankruptcy protection. The term "EBITDA" stands for Earnings Before Interest, Taxes, Depreciation and Amortization. It is a financial tool often used to measure a company's cash flow and ability to service its debt. It is a legitimate tool for analyzing lower-rated credits, but less appropriate for higher rated credits. To compute EBITDA, add back interest expense, depreciation expense, and amortization expense to pretax income. The London Interbank Offered Rate (LIBOR) is a daily reference rate based on the interest rates at which banks borrow unsecured funds from banks in the London wholesale money market (or interbank market). It is roughly comparable to the U.S. Federal funds rate. LIBOR can be defined as: The rate at which an individual Contributor Panel bank could borrow funds, were it to do so by asking for and then accepting inter-bank offers in reasonable market size, just prior to 11.00 London time. • The rate at which each bank submits must be formed from that bank’s perception of its cost of funds in the interbank market. • Contributions must represent rates formed in London and not elsewhere. • Contributions must be for the currency concerned, not the cost of producing one currency by borrowing in another currency and accessing the required currency via the foreign exchange markets. • The rates must be submitted by members of staff at a bank with primary responsibility for management of a bank’s cash, rather than a bank’s derivative book. • The definition of “funds” is: unsecured interbank cash or cash raised through primary issuance of interbank Certificates of Deposit. Senior Stretch is a hybrid financing solution that falls between an asset-based loan and a cash flow loan. Also known as an "over-advance loan", it is structured with both asset-based and cash flow components, providing a higher level of leverage and delivering more capital up front than cash flow only loans. More information is available in the CapitalEyes articles: "Over-Advance Loans-Stretching Beyond Typical Financing" and "Understanding The Leveraged Loan Continuum: Cash Flow, Senior Stretch And Asset-Based." A senior secured second lien works in tandem with an asset-based loan and provides a company with some liquidity when other capital sources may be less accessible. It holds the same rights and covenants as a traditional bank loan except that it is second in line in terms of repayment priority. Read the CapitalEyes article: "Completing The Capital Structure With A Second Lien Loan." High yield debt offers a highly flexible and less restrictive financing alternative for many companies. High yield debt is typically used to meet longer-term fixed rate financing needs related to working capital, refinancing, recapitalizations, acquisitions, or capital expenditures. High yield securities are non-investment grade debt instruments with an S&P rating of BB+ and below or a Moody's rate of Ba1 and below. High yield securities are registered with the SEC and commonly sold to institutional investors such as pension funds, mutual funds, and insurance companies--where a higher level of credit risk and leverage is acceptable. A junior secured loan, also known as tranche B loan, provides incremental liquidity and leverage to borrowers who are tapped out with their existing senior lenders. As a form of junior debt, tranche B loans are riskier than traditional senior debt and therefore require higher returns. Mezzanine financing falls between senior debt and equity on a company's balance sheet and is typically used to fund a growth opportunity such as an acquisition, new product line, new distribution channel, or a plant expansion.